Thank you all for the kind comments these past few days! They were much appreciated. My life is changing, but change isn't always bad. I have to remember that things happen for a reason. I took the past few days to think. I really thought about what I want, and focused on the things that make me happy. And I came to this conclusion I want to enjoy this time in my life to the fullest. I am young, I have a new job, and I am moving to a wonderful city full of friends! This is my time! I found a place to live!!!! Downtown Minneapolis here I come! I am ready to take on the city, and experience city life first hand! 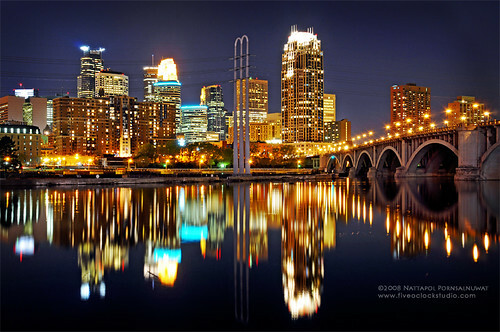 I have to say the idea of living downtown Minneapolis in my own apartment has me all giddy inside! I cannot wait to have my own place, I can't wait to decorate! I have been scouring Pinterest for inspiration, yes I have killed a lot of time (lots of inspiration to blog about)! So there you have it! Life is changing and I am ready to embrace it! very exciting! decorating a new apartment is so much fun! change can be scary, but very good at the same time! hang in there! Yay for you!!! So excited for you!!! Live and embrace all of these sweet wonderful exciting moments in your life!!! So exciting!! Enjoy this time because like you said, it is your time! Can't wait to read about all your fun changes!! so exciting Hilliary, congrats! Decorating is so much fun!!! So happy to read this! I hope it means what I think it means! You're a rockstar! Soak up every MOMENT of this exciting time! I'm so excited for you and your new venture!! Living in a city can be so much fun! I'm glad you're keeping your head up. It seems you've got a new perspective on things and are in better spirits :) good luck girl!! I'm so happy for you!! I bet you'll love it! Don't stress + worry - everything will be so great and fun and exciting!!! New chapters are always the best :) so happy for you that you found a new place!!! Finding the right apartment is always so much fun! Excited for all your fun new adventures coming your way! Hilliary, this is so amazing, I'm so happy for you! Finding the best apartment can be tedious, and I'm glad you tackled it so fast! And I love the new outlook of your blog, it looks amazing!